“Early next year we will open the Sunday Mine, which was operated in 2009. The mine is ready to go. We will open it in early 2019, get it ready for production in the second half of 2019. The mine is virtually ready. 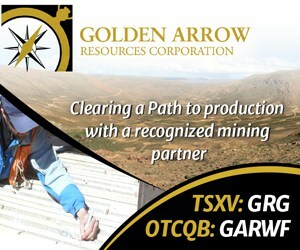 We are going to go in and assess the high-grade vanadium that we know is in there and then lay out the mining plan to start mining in the second half.” States George Glasier, President, CEO and Director of Western Uranium & Vanadium Corp. (CSE: WUC | OTCQX: WSTRF), in an interview with InvestorIntel Corp. CEO Tracy Weslosky. Tracy Weslosky: George it is a real pleasure to have this opportunity to speak to you, it is my understanding your planning on becoming North America’s number one source of vanadium. Is that correct? George Glasier: The Sunday Mine Complex is one of the best, if not the best mine in North America for vanadium. It is a series of 5 mines with very, very high-grade vanadium. Tracy Weslosky: You just put out some very big news. On November 28th you put out a news report on how you are planning to provide a Sunday Mine Complex reopening update. Can you talk to us a little bit about this news release? George Glasier: That is right. Early next year we will open the Sunday Mine, which was operated in 2009. The mine is ready to go. We will open it in early 2019, get it ready for production in the second half of 2019. The mine is virtually ready. We are going to go in and assess the high-grade vanadium that we know is in there and then lay out the mining plan to start mining in the second half. Tracy Weslosky: We are getting a lot of Twitter action, a lot of tweets about you. One of the potential investors out there sent me an email asking about how you are planning on sending your ore overseas for processing. Could you address that? George Glasier: Vanadium ore can be shipped anywhere in the world. You have got to have an export license, which is not difficult to get. The U.S. exports all kinds of commodities including a lot of coal. The vanadium ore will be exported much like we export other commodities. Of course it will be in a container, but we are going to ship this overseas for processing. There is a big demand for the vanadium. Processing plants are already ready to go with no feedstock. That is our plan at least for the first couple of years moving into building a new vanadium plant in the U.S., which will take a few years, a couple of years. Tracy Weslosky: Of course George with vanadium prices absolutely surging and such an incredible demand globally right now there is a lot of misinformation out there. One person was tweeting about how your ore may potentially be radioactive. Can you talk to us a little bit about that because that obviously is incorrect? George Glasier: Our vanadium ore or the vanadium standalone in the Sunday Mine is no more radioactive than the coal we ship. The United States coal mines have a little radioactivity. Radioactivity is everywhere in very low quantities. That is a bit of what the vanadium has and it is very low radioactivity. There are no restrictions on shipping that kind of stuff. If not we would not be shipping coal around the world.